As a Local Union 896 member, you are entitled to death benefits at no cost to you. This plan, a $6,000 death benefit, is paid for by the Local Union. You and your employer are not required to contribute to this plan. 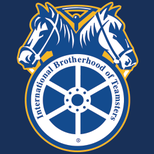 Contributions are made strictly by the Teamsters Local and are available only to Teamster members. These benefits cover you in the event of death while currently working or while on disability (up to two years). Please keep beneficiary designation information current and contact the Local Union hall if you have any questions or concerns, or would like to initiate a claim for Life with Dues benefits. Please contact the Local with any questions you may have at (213) 388-3144.